Thursday, October 3rd was one of those rare days (at least recently) that I could sneak away from home & office obligations to go birding in the middle of the week. When Bruce Mactavish planted the seed in my head, I immediately found a way to make it work. Both the date and the weather were ripe for vagrants – we had just come off some interesting weather that brought four straight days of record high temperatures. I was stoked! Bruce and I have a good history of finding sweet birds together – so I felt extra good about this day out. It was cool and breezy when Bruce picked me up at 5:45am and we headed south for Bear Cove (site of last week’s Yellow-throated Vireo) and Cape Race (where anything can happen!). We pulled into the gravel pit just after first light, eager to hit the alders and find some gems popping around among the bright fall colours. 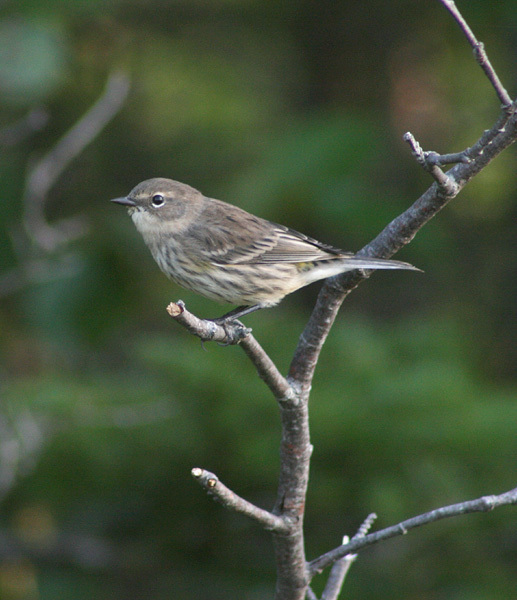 Even Yellow-rumped Warblers start to become scarce in October. Things didn’t improve much as we headed south to Cape Race … the road was dead quiet (even the Savannah Sparrows had made a mass exodus), and Long Beach was held no surprises except a Peregrine Falcon that swept through as soon as we arrived. The Baird’s Sandpiper among the flock of more regular shorebirds would have been more notable if it hadn’t been around for the past two weeks. Cape Race itself disappointed with just a handful of sparrows. An unidentified warbler flushed out of the grass was intriguing enough for us to spend an hour traipsing around trying to relocate it, but the strong winds and vast barrens of the headland made for good hiding. An American Kestrel was a minor highlight. We headed home with a sunken feeling — lots of digging, but no gold. 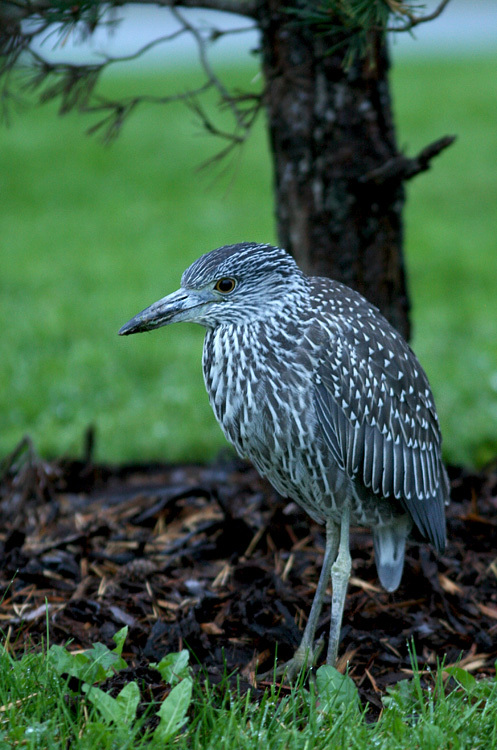 This immature Yellow-crowned Night Heron has been hanging out in Torbay for a couple weeks, While it is pretty much annual in the province, they are usually elusive and this was only my second for the province. The heron seems to be doing really well – it was digging, too, but having much more success than Bruce and I had. It came up with several large worms in the fifteen minutes I spent enjoying the hunt. 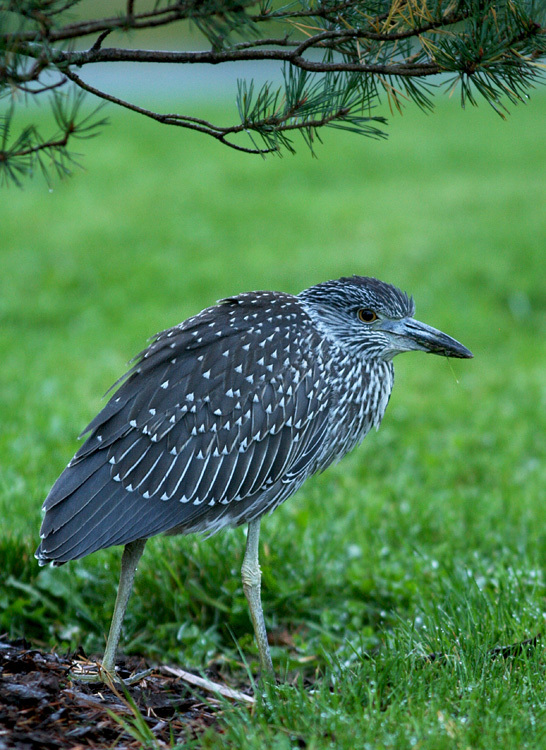 This entry was posted in Uncategorized and tagged Fall birding, Newfoundland, rare bird, Yellow-crowned Night Heron. Bookmark the permalink.